A complex of 10 industrial buildings in the Brisbane-Gold Coast growth corridor has been purchased by Sydney-based fund manager Ringmer Pacific for $17.45 million. Set on a total site area of 4.05ha at 93 Burnside Road Yatala, the property comprises 10 detached warehouse/office buildings with a total Gross Lettable Area of 14, 491 sqm. The property was sold by Callum Stenson and Myles Clentsmith of Savills following an Expressions of Interest campaign that attracted over 50 buyer enquiries and five offers to purchase. Mr Stenson said the Yatala property was Ringmer Pacific’s first industrial purchase in South East Queensland. The sale price reflected an initial passing yield of 8.94%. 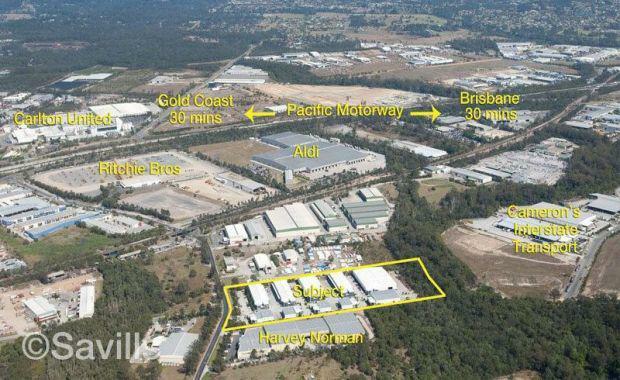 He said the property was well positioned in the fast-growing Yatala industrial precinct, strategically positioned midway between Brisbane and the Gold Coast and adjacent to the M1 Motorway. [urbanRelatedPost][/urbanRelatedPost]Mr Stenson said the property was last purchased in a receiver’s sale in mid-2013 for $10 million. “The complex was in disarray with 57% vacancy, outstanding infrastructure charges and no certificate of completion,” he said. “It is a sign of the strongly maturing industrial market in South East Queensland that Savills negotiated this deal between a Melbourne-based vendor and a Sydney-based fund manager. ""Local agents now have to venture out of their core markets and ensure that all opportunities are offered both nationally and internationally to ensure the best result,” Mr Stenson said.